THE PALESTINIAN STRUGGLE FOR SELF DETERMINATION & THE IHRA STATEMENT ON ANTI-SEMITISM. The UK is one of the first countries to use the definition of anti-semitism, as agreed last May at a conference of the Berlin-based International Holocaust Remembrance Alliance (IHRA). A Downing Sreeet statement said that the intention of such a definition was to "ensure that the culprits will not be able to get away with being anti-semitic because the team is ill-defined, or because different organisations or bodies have different interpretations of it." 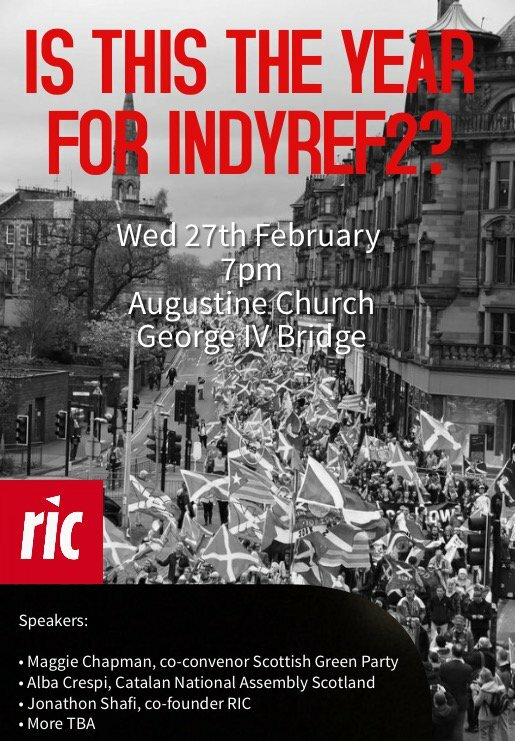 RIC-Edinburgh is hosting this event to explore how the IHRA statement may be used and how it could impact on the people of Palestine and their struggle for self-determination. We are delighted that Sarah Glynn of Scottish Jews Against Zionism will introduce our discussion. Please come along and participate in the discussion.